Poised to win a scholarship to the nearby teachers college, Fing has high hopes. It’s 1938 and her poor family of nine—one father, four brothers, three sisters, and a grandmother—has finally managed to eke out a living in the tiny cigar factory abutting their dilapidated home. But smelling success, her dreamer of a father is determined to expand, and Fing’s dreams fall apart when she instead has to go to work for the Cigar Emperor, taking care of his new, German wife’s eccentric niece. The novel’s gripping language, enriched by Yiddish, German, and Dutch dialect, plunges the reader into the world of a large, colorful, motherless family as they navigate the changes World War II visits upon their little town on the border of the Netherlands and Germany. This stand-alone follow-up to Nine Open Arms, a 2015 Batchelder Honor book translated from Dutch, is a fantasy, a historical novel, and literary fiction all wrapped into one. 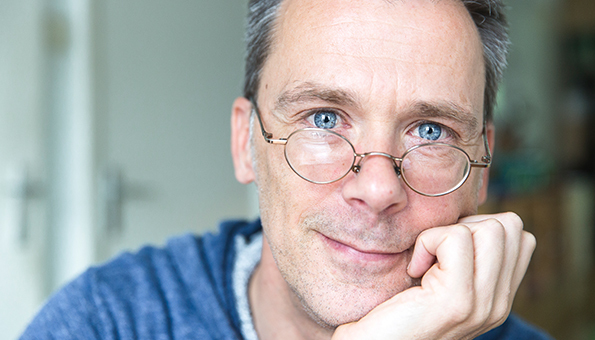 Benny Lindelauf is a multi-award-winning Dutch children’s book author who has published twelve books in Holland, several of which have appeared in translation. He also teaches creative writing to adults and children. Nine Open Arms has been translated into six languages, including Czech and Korean, and both it and its Dutch sequel, Fing’s War, have won several prestigious awards in the Netherlands. 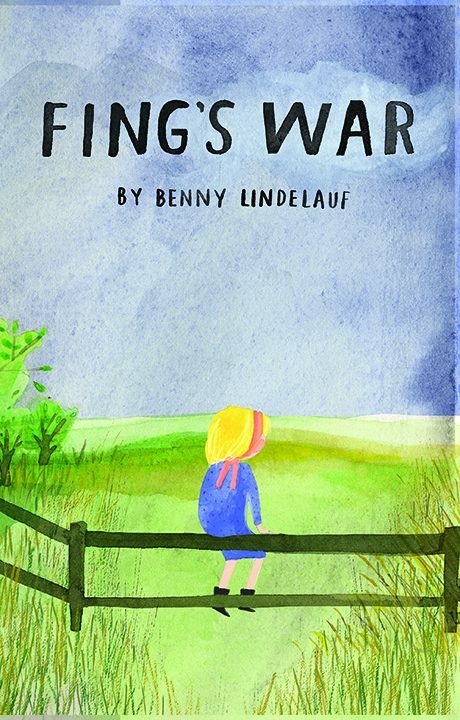 Imagination, wit and drama are crucial ingredients in Benny’s stories, where the narrative is always woven together in an exceptional way. Lindelauf once said: “Writing is like moving from one house to the next over and over again.” In Nine Open Arms, the writing moves through many rooms and houses, even worlds. 1. Do you think Fing and Liesl became friends? Why or why not? What made it easier for Muulke and Jess to get along with her? 2. What is the opposite of worrying? Do you think Fing’s Dad is right to always be hopeful? Do you think Oma Mei is right to always be prepared? 3. How does the Boon household change when Dad and the brothers are taken away? What changes in Oma Mei? 4. Why do you think Liesl knocked down the display at the Grand Mixed Faith Dinner? 5. Who is Master Govaerts? If he works for the NSB, why does he step in when Jess is about to be taken by the Germans? 6. What does it mean to be a “goody-goody”? Are there any goody-goody’s in Fing’s War? Why or why not?